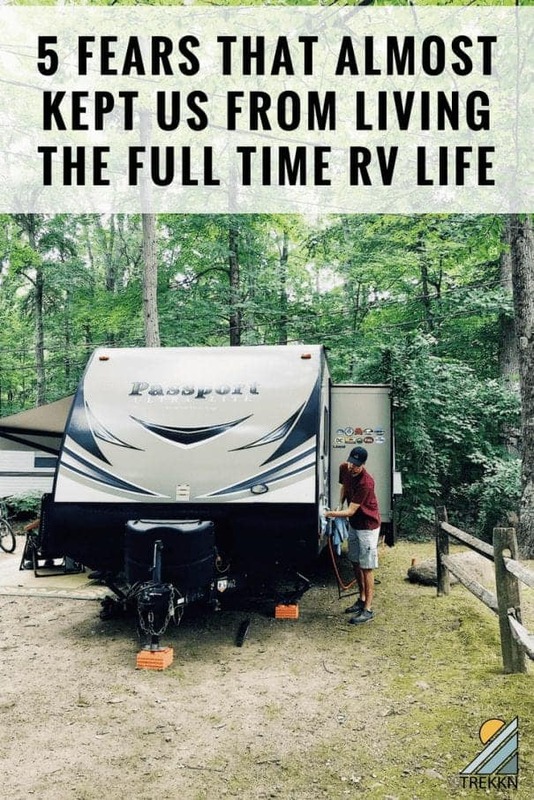 Are you thinking and dreaming about the possibility of full time RV life? Are you in the research phase of what it takes to make a lifestyle like this happen? If you are, then most likely you’ve had about one hundred and one fears creep into your head. This was us about a year and a half ago. We completely get it and understand. We were living in fear and concocted all kinds of nightmare scenarios in our heads. What if this happens? Can this happen? Oh, my gosh, what about if that happens? It’s the four-letter word that can be the difference between living your dream and not. It’s the four-letter word that can keep you right where you are in life, making you feel like your feet are cemented to the ground. It’s the four-letter word that can make you feel stuck. It’s the four-letter word that can keep you from making decisions that could positively alter the course of your life. 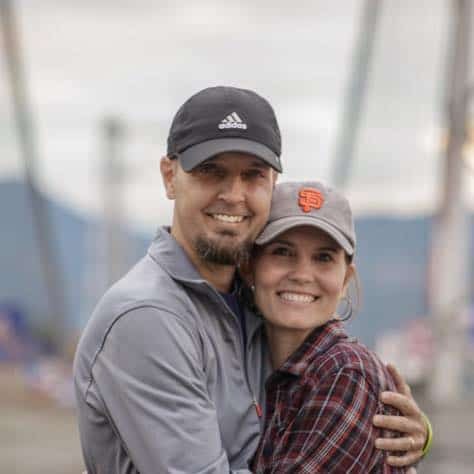 You may have read our article about how it was only 100 days from the time I brought up this idea to Todd to the time we were moving our few belongings (that we hadn’t sold) into our brand new travel trailer. Yes, we didn’t mess around and just did what we needed to in order to make this dream a reality. But we don’t want you to think that we didn’t face roadblocks. We most definitely did. In TREKKN Episode 6, we share five fears that almost kept us from living the full time RV life. . Gross, right? Never in a million years did I think I’d be writing about the fear of poop on the internet, but here it goes. The whole sewer situation freaked me out. All I could think of was that scene in the movie RV with Robin Williams where he has an incident with the sewer hose. Oh, you haven’t seen it? Well, here you go. You can thank me later. You see, we had never RVd before. Never. This whole RVing thing was completely new to us. We were as newb as it gets. So the idea that we (okay, let’s be honest here…Todd) was going to be responsible for dumping our tanks and figuring out the whole sewer situation freaked me out. A lot. Has my fear of recreating the scene from the movie RV come to fruition? Nope. 13 months and zero poop nightmares. I’m hoping it stays that way. This was one of Todd’s biggest fears. Damaging our travel trailer in some way. Remember when I mentioned we had never RVd before? Yeah, well, Todd had never driven one before. Sure, he had experience with Uhauls on our many (many) moves and a small trailer here and there, but that was about it. He had never owned a truck and never driven something this large, so this fear was very real to him. How did he get over it? We bought both the truck and the travel trailer before we sold our house, which gave him some time to do practice runs. I’ll never forget his first tow. We had already taken our 14-year-old (13 at the time) out of school, so the two of them headed off in the new truck, hooked the trailer up at the storage unit and took their maiden voyage. To a Kohl’s parking lot that was NOT big enough for a first practice round. And so far so good. He hasn’t backed into anything, run over anything or driven off with the awning open. We’d definitely like to keep it that way. Fear #3: What if we hate this lifestyle? After I brought up the idea of full-time RVing to Todd, I went into complete watch-all-the-youtube-videos-i-could-find mode. I wanted to learn all about this lifestyle and see others actually living it. As we went into full sell our house and stuff mode, the reality of moving into a very small space hit me. And I started questioning what we would do if we hated it. But we made a commitment to sticking it out for a year. And guess what? We love it. Yes, it can be very hard and emotionally draining, but right now, the good outweighs the not so good. And on those hard days, I remind myself why we chose this lifestyle. We didn’t choose it because it was easier. We chose it because it was different, challenging and exciting. 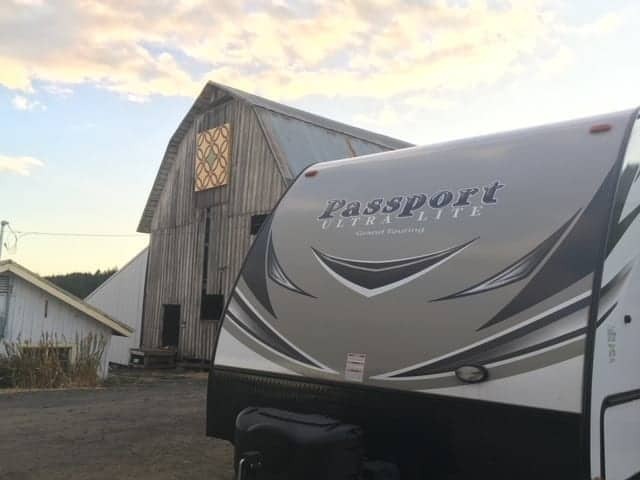 In order for us to get started and launch into full-time RVing, we had quite a few good things happen financially, which enabled us to make this happen quickly. 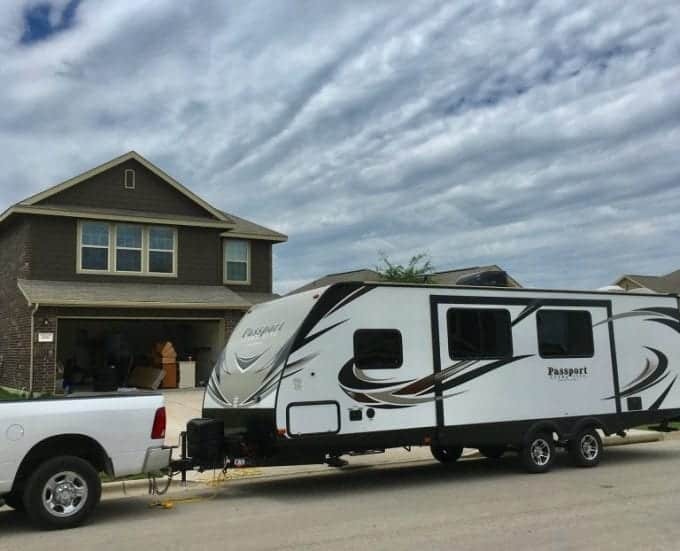 Between a good year in business and selling a house we made a profit on, this helped us purchase our travel trailer, truck and all of the RV accessories we needed. 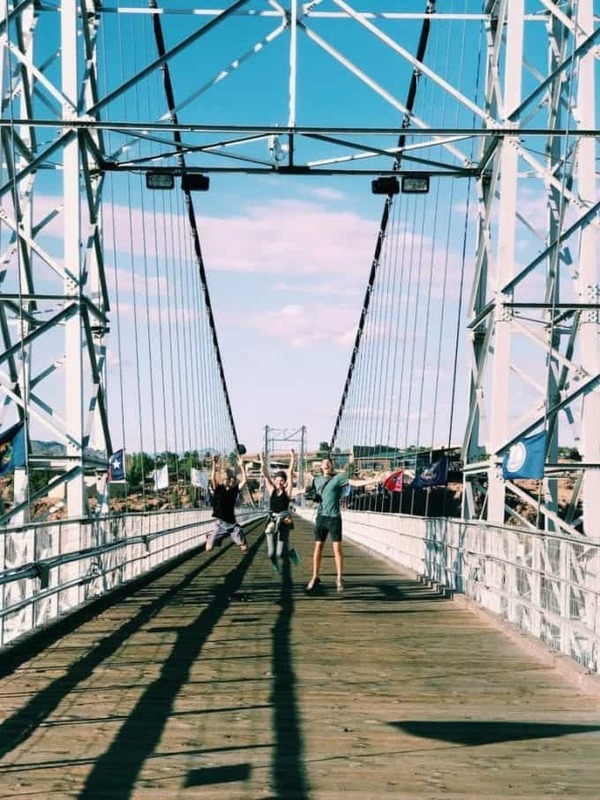 While we did make some fairly big financial commitments in order to go full-time, we were more concerned about the day to day expenses, as well as running a business from the road. Questions like how expensive is this lifestyle? What if we wake up tomorrow and our business has tanked? What happens if our truck blows up and we have to get a new one…There were so many ‘what if’ scenarios that played out in our heads. After running a business while traveling full-time for over a year, we can say without a doubt that yes, it is more difficult than running it from a house. Between bad cell signals (which means no internet for us) and figuring out a work/life balance that is always changing destinations, it’s been tricky. But it’s also been worth it. And all those financial fears we were worried about? They didn’t come to fruition, either. I mean, sure, we’ve had some less-than-stellar financial surprises on the road, but nothing so devastating we considered having to quit this lifestyle. Fear #5: Will this work for our kids? Has it been tricky navigating having a daughter in college? Yes. Getting her to wherever we are on her breaks + moving her into the dorms meant lots of flights. Having us so far away and not able to hop in the car and be where she is three hours later, has meant her handling some big things on her own. It’s pushed me to let go of some of that control us parents like to have and it’s pushed her to tackle head on this thing millennials call adulting. As far as our son who decided to take a gap year and travel with us, this has opened up the possibilities in his mind of what he wants to do for a living. It’s also allowed him to pursue his passions more in-depth, like writing, photography and video editing. He’s taken some incredible pictures in some of the most beautiful locations on the planet. Take a peek at his Instagram to see what I’m talking about. He also edits all of our videos and is doing an absolutely phenomenal job. And what about our 14-year old? Well, he’s thriving in this lifestyle. You can read all about teenagers and RV living in my article here. 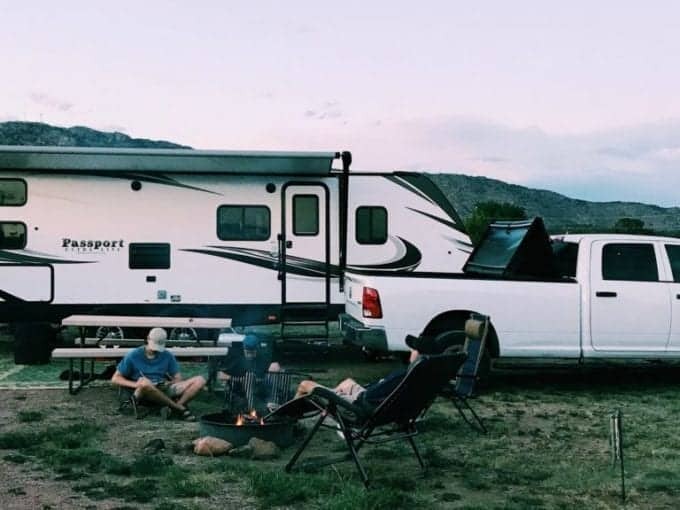 Whether you’re thinking about diving into full time RV life or you’re thinking about making another kind of big life change, fear and giving into it can alter your direction completely. It can rob you of some much potential good that actually wants to show up in your life. Is fear good? Yes. It made us do our research when it came to this lifestyle. It made us question our motives, making sure we were doing this for the right reason. It made us make sure the kids were involved in the decision making and were 100% on board. Should fear have control and be calling the shots and determining your direction in life? Absolutely not. One of the best things we can do as human beings is to recognize and challenge our fears. They are always at work in the background and it is when they work unnoticed that the real damage takes place. We want the fullest and most abundant life possible for ourselves and for you. Fear will never get us there.